You'll be £7.99 closer to your next £10.00 credit when you purchase Into the Gates of Hell. What's this? Order within the next 6 hours, 50 minutes to get your order processed the next working day! 03:15, 22nd June 1941 - Barbarossa is unleashed and Kampfgruppe von Schroif are right there at the cutting edge of the battle for Russia. Thrown into action against the fortress of Brest-Litovsk, von Schroif and his crew drive a new weapon into battle - the legendary Sturmgeschütz. However, even with this latest armoured marvel there is hard fighting as the Reds dig in and doggedly defend the island fortress to the last man.rnrnPenetrating , authentic and stunning in its detail, the long awaited prequel to the highly acclaimed 'Tiger Command!' is a powerful addition to the series. Based on a true story of combat on the Eastern Front, this atmospheric new novel puts the reader right into the action and unveils the story of how a legend was forged in the heat of the first great battle of the campaign.rnrnWritten by Emmy AwardTM winning writer Bob Carruthers and newcomer Sinclair McLay and edited by Mark Farr, this much anticipated Eastern Front novel also explores the dark underside of war as von Schroif is faced with the malevolent presence of Oskar Dirlewanger. Thrown into action against the fortress of Brest-Litovsk, von Schroif and his crew drive a new weapon into battle - the legendary Sturmgeschütz. However, even with this latest armoured marvel there is hard fighting as the Reds dig in and doggedly defend the island fortress to the last man. Penetrating, authentic and stunning in its detail, the long awaited prequel to the highly acclaimed 'Tiger Command!' is a powerful addition to the series. 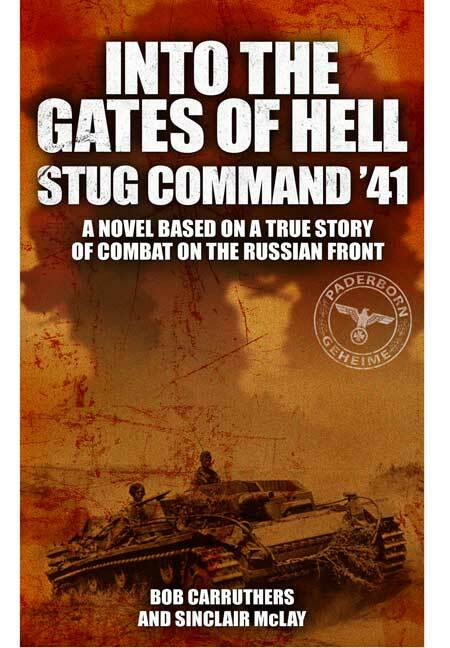 Based on a true story of combat on the Eastern Front, this atmospheric new novel puts the reader right into the action and unveils the story of how a legend was forged in the heat of the first great battle of the campaign. Written by Emmy Award winning writer Bob Carruthers and newcomer Sinclair McLay and edited by Mark Farr, this much anticipated Eastern Front novel also explores the dark underside of war as von Schroif is faced with the malevolent presence of Oskar Dirlewanger.